The Jazz & Standards Crooner beats out the Rock Legends for the Number 1 spot on Billboard Top 200 Albums. Michael Buble with the album "Crazy Love" beat out Rock legends Kiss album "Sonic Boom". However, don't feel too bad for the aging rockers because this is their best debut album ever! Plus if this was the Olympics Kiss would still get a Silver metal for second place. Country singer Toby Keith "American Ride" debuts at #3, knocking the previous #1 album Barbra Streisands "Love Is The Answer" to number 4. 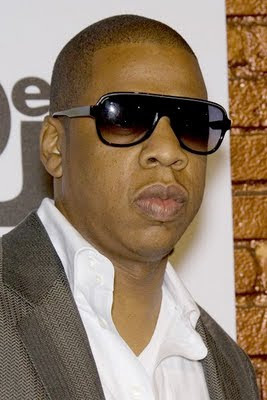 Jay Z is enjoying a stay at #5, "The Blueprint 3" is also a former number 1 and it has actually went up a spot. "The Blueprint 3" has been on the charts for 5 weeks now. Mariah Carey is still in the top ten but it doesn't look like she'll ever be climbing to that number 1 spot. Her debut was #3 and she's currently #7. Good news for Whitney Houston is that she has been certified GOLD! "Million Dollar Bill" is also officially a Top 40 hit (just not a big one). Bad news is she still hasn't had a major hit from the former number 1 album "I Look To You". BIG NEWS: Bebe & Cece Winans debuts right behind Whitney Houston at #14! This is huge for a Gospel album. Gospel albums rarely ever see the Top 20 of the Billboard 200. Madonna greatest hits disc seems to be dropping hard. First only debuting at #7 and now dropping down to #20 in only its second week.